Founded in 1954 the Museum of Education is built around a unique collection of historic school houses. These are a 1883 “beehive” school from Pallamallawa near Moree, the Dumaresq school from the 1880s and a 1948 portable classroom from Armidale High. Each schoolhouse is furnished with authentic school furniture, books, teaching aids and photographs. 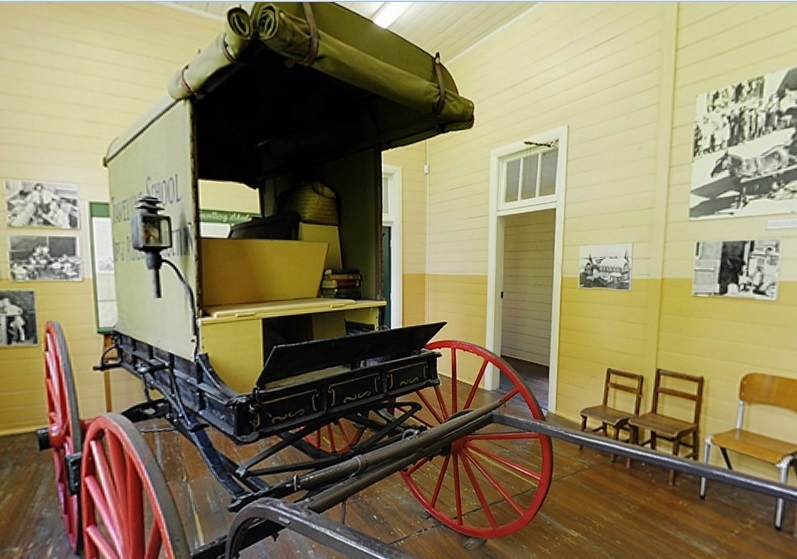 One of the exhibits at the Museum is a replica of an old travelling school. The travelling school consists of a wagon with a sleeping bunk, a cooking stove and a blackboard. It was both home and school for the teacher. This replica was constructed in 1959 under the supervision of a former travelling school teacher from Ivanhoe. In addition, the Museum has a superb collection of early school texts and departmental publications, comprising 6,000 volumes. The museums is open by appointment.